* Gwyn writes: And what is wrong with Laverbread? Or Rarebit, for that matter? Laverbread is Wales’ great culinary secret. Hardly anyone outside Wales has tried it, and luckily those who have tend not to care for it. But once you’ve got the taste — umami, bland, comforting, tasting like nothing else you can describe — it is addictive. You can’t get it in North Wales, though. Best places to find it are Swansea and Cardiff markets. I buy 2 kilos at a time by mail order and it freezes beautifully. 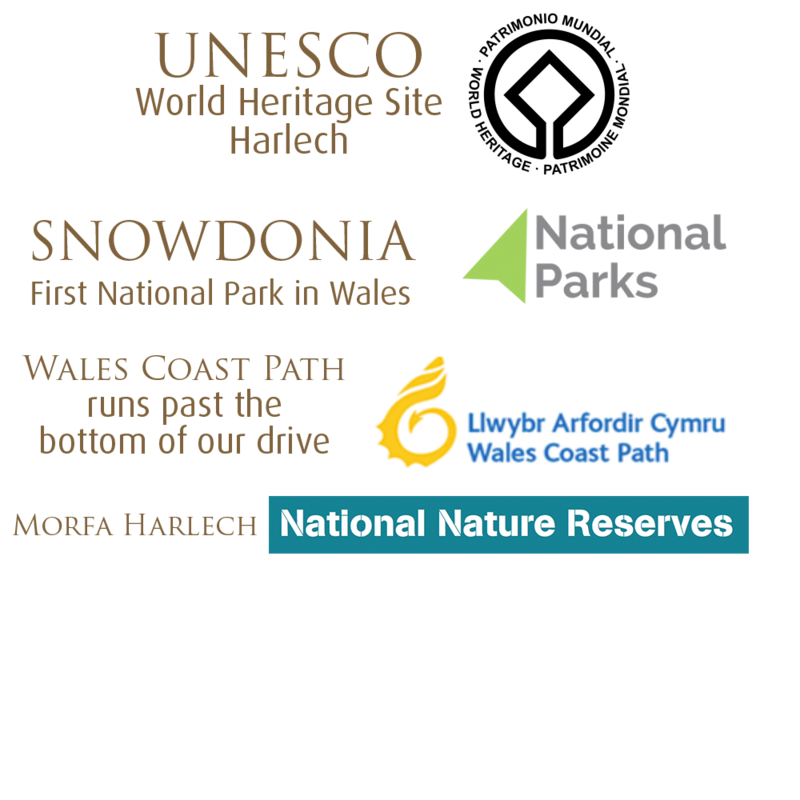 It’s a UNESCO World Heritage Site because of Harlech Castle, one mile to the north. It’s in the Snowdonia National Park, the first and most beautiful of Wales’s National Parks. The sand dunes behind the beach, Morfa Harlech, are a National Nature Reserve and a Site of Special Scientific Interest, and the Wales Coast Path runs past the bottom of our drive. The Wales Coast Path is the world’s first public footpath to run round the entire coast of a country. And of course it’s blessed with what many say is the finest view in the country, above Good God Corner, acclaimed by people of such excellent taste as Philip Pullman and Humphrey Lyttleton. That’s a heck of a pedigree for one house to carry. But it bears it with dignity. http://www.harlech.org/wp-content/uploads/2015/03/Harlech340x156-300x136.jpg 0 0 fotoLibrarian http://www.harlech.org/wp-content/uploads/2015/03/Harlech340x156-300x136.jpg fotoLibrarian2018-08-10 16:17:012018-08-10 16:21:25What a location!